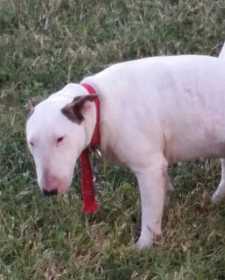 Missing white English bull terrier. She has black and brown ears. We really miss her so please help us get her back home with no questions asked.